No carmaker is perfect. Each has best and worst sellers, hits and misses. And while plenty of cars are generally good values, there are a few that don't make as much sense when you work out the calculations over time. That's where our new list comes in: the Worst Cars for the Money. The Worst Cars for the Money were identified using data from the U.S. News car rankings, which are based on the collective opinion of the automotive press. This tells us how "good" or "bad" a car is within its class, according to a large number of critics. We then weigh the rankings against how much value the car packs in compared to others within its class. Using data from IntelliChoice, an industry leader in determining ownership costs, we include how much buyers can expect to spend up front, how much they'll spend on maintenance and fuel, and how much of a hit they'll take from the car's depreciation during the first five years. The result is a list of cars you may want to think twice about before buying. But also keep in mind the unwritten part of a car's value: if you really like one of these models, then chances are you'll be happy driving it no matter what - which means that in the end, it could be the best car for your money. The G5 trails the majority of compact cars when it comes to comfort, quality and performance, leading to a poor U.S. News ranking. Its sticker price is also a bit higher than many competitors, and it's expected to depreciate as much as 60 percent within the first five years of ownership - twice as fast as its top-ranked competitors. In addition, five years of fueling and maintaining the G5 is estimated to cost you $5,000 to $10,000 more than Honda's Fit or Civic. The G5's future is unclear since GM has announced plans to shrink the Pontiac model line significantly. Pontiac sold just 767 G5s nationwide in January. Better values: If you're in the market for a compact car, consider the Honda Fit and Hyundai Elantra. Some critics note that while it's a competent people hauler, the Suzuki XL7 can't match the acceleration, handling and interior quality of top rivals. Its five-year cost of ownership is quite high - almost $47,000 as compared to the Honda CR-V, which is about $37,000. 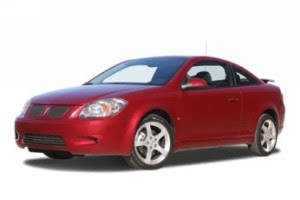 Depreciation is the major cause - like the Pontiac G5, the XL7 is expected to lose more than 60 percent of its value over five years. We should note that while the XL7 may have some shortcomings, this SUV has stellar crash test ratings and should be on the list for small SUV shoppers concerned about safety. Better values: If you're in the market for a compact crossover, you may do better with the Mazda Mazda5 or the Ford Escape Hybrid. The Jeep Commander is a good choice for off-road enthusiasts, but buyers who spend the majority of their time on the pavement should look elsewhere. U.S. News ranks the Commander last among large SUVs. Its cost of ownership over five-years is $10,000 more than the Mazda CX-9 crossover and even higher than the popular Chevrolet Tahoe, another off-road-ready vehicle. While the Commander's sub-$30K sticker may look appealing, this big SUV is expected to depreciate 50 to 60 percent over five years. Sales were down 56 percent last year, and there's speculation that it may be discontinued after 2009. Better values: If you're in the market for a full-size SUV, the Chevrolet Tahoe and Mazda CX-9 are worth a look. With rugged practicality and a strong powertrain, the 2009 Nissan Titan isn't out of place in the full-size truck market. However, after more than three years on the market, the Titan still hasn't pulled in a lot of American buyers. Sales were down almost 50 percent in 2008. That may be because the Titan's value equation just doesn't make sense. It's generally well liked, but it costs up to $5,000 more than solid American options. The Titan also lags the competition in fuel economy, with only 13 miles per gallon in the city for the base model. Nissan has announced it will end production of the Titan in 2010 and is planning to replace it with a pickup based on the Dodge Ram. Better values: Consider the Ford F-150 and Chevrolet Silverado. The Volvo S60 is based on a nine-year-old design and has been left in the dust by continually improved competitors like the Infiniti G37 and BMW 3-Series. On the plus side, the S60 could save you two or three thousand dollars over five years, compared to the 3-Series or the Cadillac CTS. But consider that the existing S60's deprecation will likely only get worse: Volvo debuted a new concept at this year's Detroit Auto Show that will make the current S60 extinct. Better values: If you're in the market for an upscale car, consider the Infiniti G37 or Lexus ES. The Mitsubishi Eclipse offers aggressive sports car styling, but critics claim it lacks the power and agility they expect in a sports car. This contributes to an underwhelming performance in the U.S. News rankings. The Eclipse isn't such a bad deal if you just want to look the part of a speed racer - there are just other sports cars that are better. The Eclipse's sticker price undercuts most of its rivals. The car will run you about $40k + to own over five years - about $5,000 less than the Honda S2000. The Eclipse's sales numbers confirm that it has loyal buyers. Sure, sales are down about 38 percent from a year ago, but the Eclipse still sold better than the S2000 or Mazda Miata. The Eclipse just received a refresh for 2009, which means it probably won't be going anywhere soon. Better values: Still, for cars that perform better within the mainstream sports car class, take a look at the Mazda MX-5 Miata and Nissan 370Z.